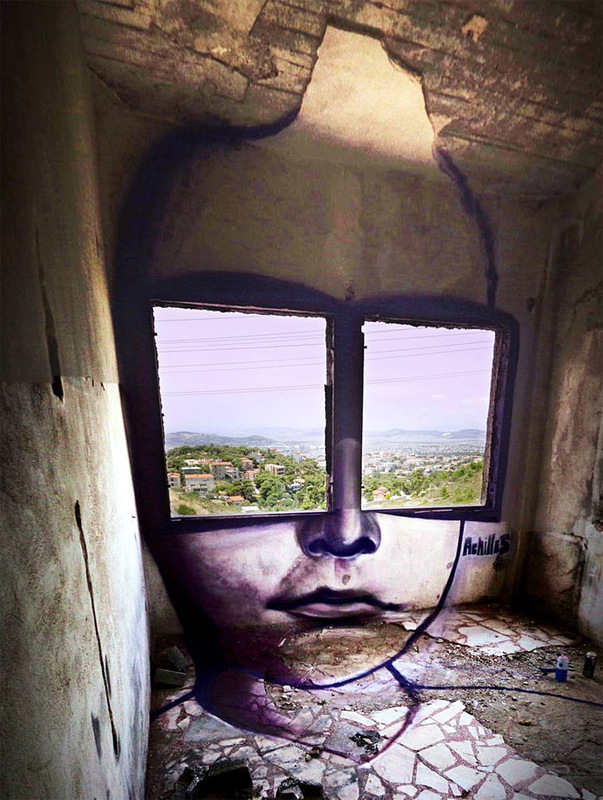 A turn of phrase meets art in this mural made to look like a face, with glass-framed eyes reflecting the world outside. Graffiti interventionist Achilles likes to put art in context, using walls and spaces as backdrops for layered works that wouldn’t work quite the same way anywhere else. 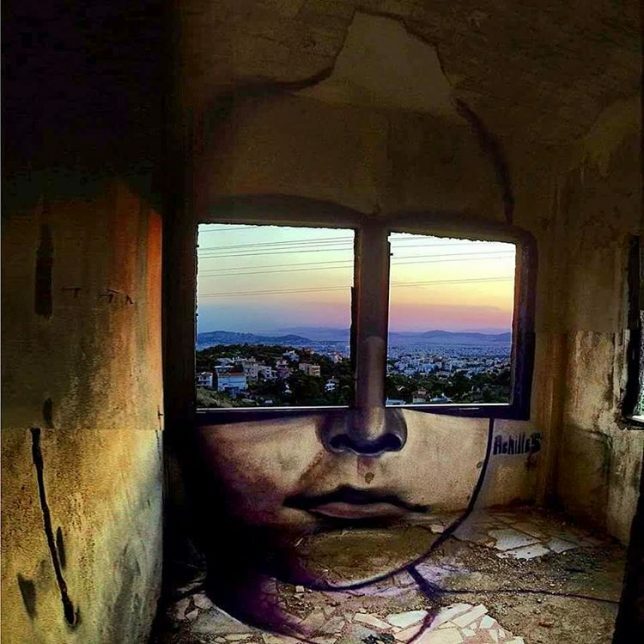 Many of his site-specific works play with perspective and create visual surprises by tucking elements onto different surfaces to create reveals as the viewer approaches.